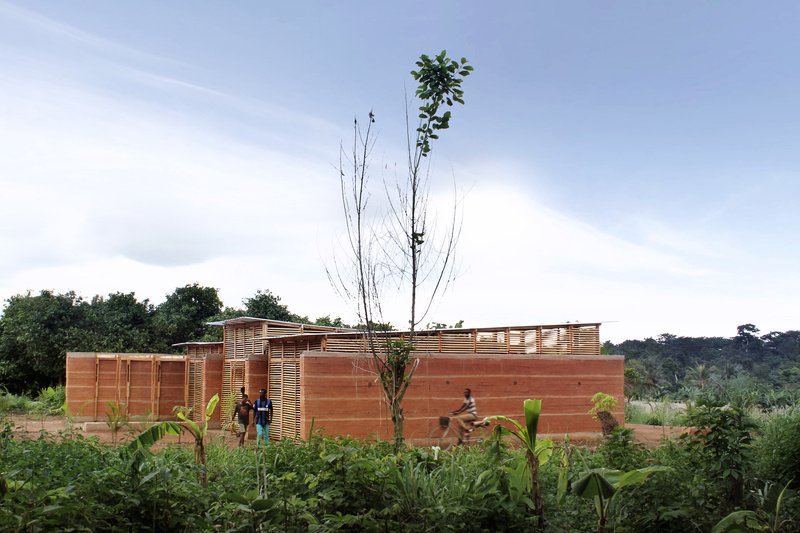 A team of young volunteers led by architects Andrea Tabocchini and Francesca Vittorini built a school prototype in Yeboahkrom, a rural village in Ghana. In this interview, Andrea (AT) and Francesca (FV) reveal the challenges they faced and other valuable lessons learned throughout the development process. AiD: How did everything get started? FV: In 2016 Andrea and I participated in an international competition organised by Nka Foundation. After winning the competition, we found out that we had to find the money and the people to actually build the design. It was quite a challenge! Not only did we have to organise the funding, but also to build the school with our hands - in 90 days! We decided to accept it anyways. That was where the adventure started. AID: How was the fundraising organised? AT: To be honest, initially we had no idea where to acquire funding or manpower to make the project happen. However, Nka foundation suggested that we organize a workshop for volunteers - and we decided to try out the idea. We then created a Google account and a Facebook page, launched an open call, invited people to come with us to Ghana and build the school during summer. We received loads of applications and selected a team of 30 amazing volunteers from 20 different countries. Thanks to their donations given as a participation fee, we managed to collect the necessary budget of 12,000 euro. 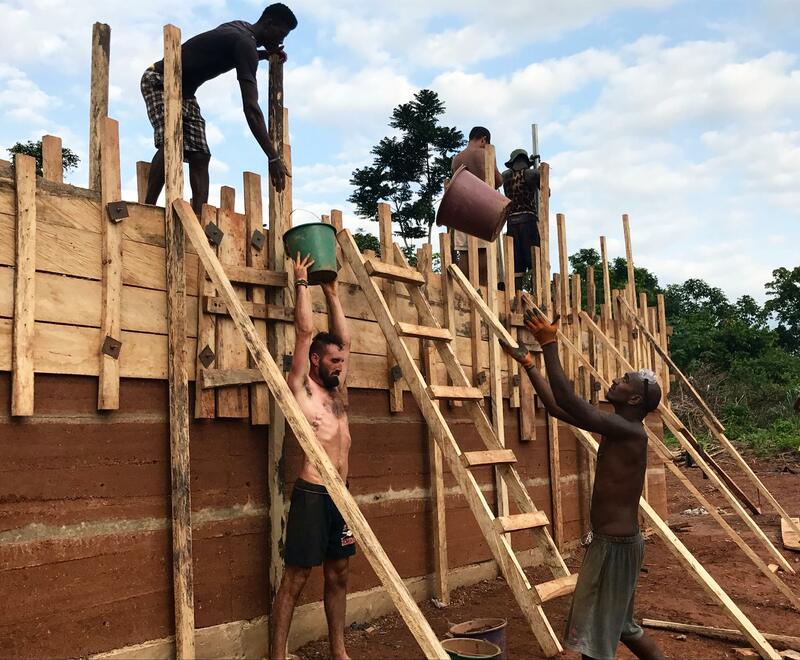 The project was completely non-profit; every person contributed something (time, money and expertise) to build a school that otherwise would not have been realised, and returned with unique human and professional experiences. It felt like the Sharing Economy model. I strongly believe that this economic model has immense potential, and could work in a different context as well. 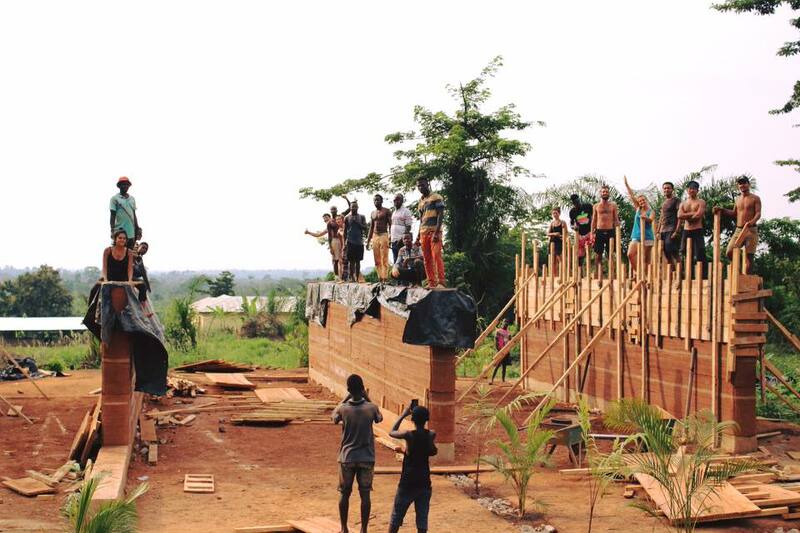 every person contributed something (time, money and expertise) to build a school that otherwise would not have been realised, and returned with unique human and professional experiences. 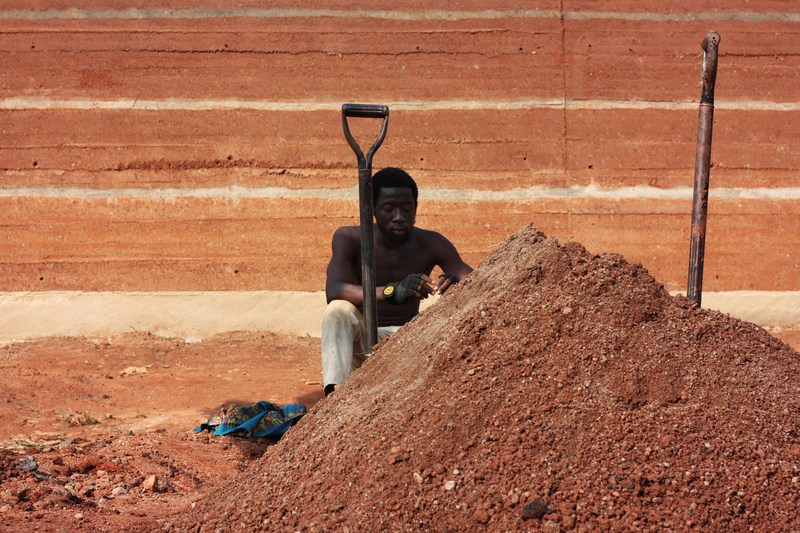 AiD: Why did you decide to work with local materials? AT: In recent years, local materials such as rammed earth have usually been associated with “poor architecture” and often abandoned in favour of more “modern” construction materials, such as cement blocks or other industrial materials. These industrialised materials are expensive and provide poor environmental performance for the region. This was the main reason for us to embrace local traditional materials, i.e. earth and wood, and propose new ways of using them. We also tried to introduce more comfort through environmental design. For example, we tried to make the building as open as possible, maximising the amount of natural light, generating natural ventilation, and creating a new relationship between the indoor and outdoor spaces. 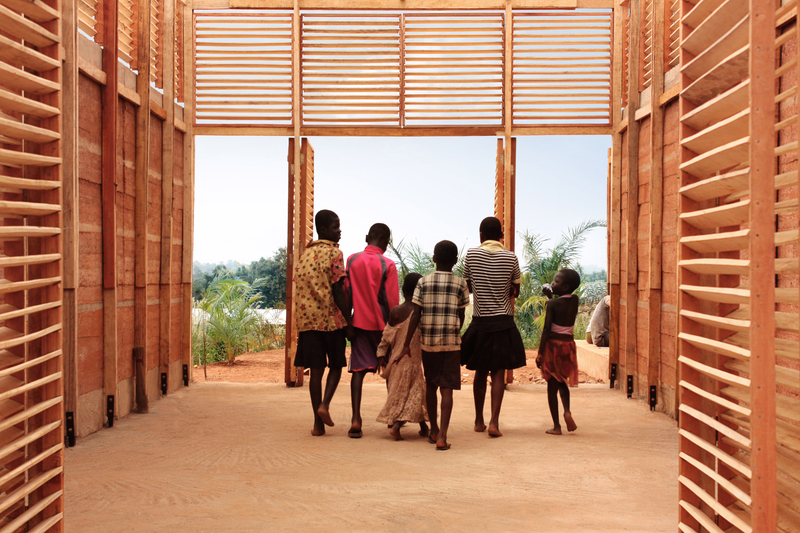 AiD: How did you gain the required knowledge and skills of building with rammed earth? AT: When we worked on this competition we studied as many precedents as possible. This helped us understand what had already been done and what could possibly be improved upon. 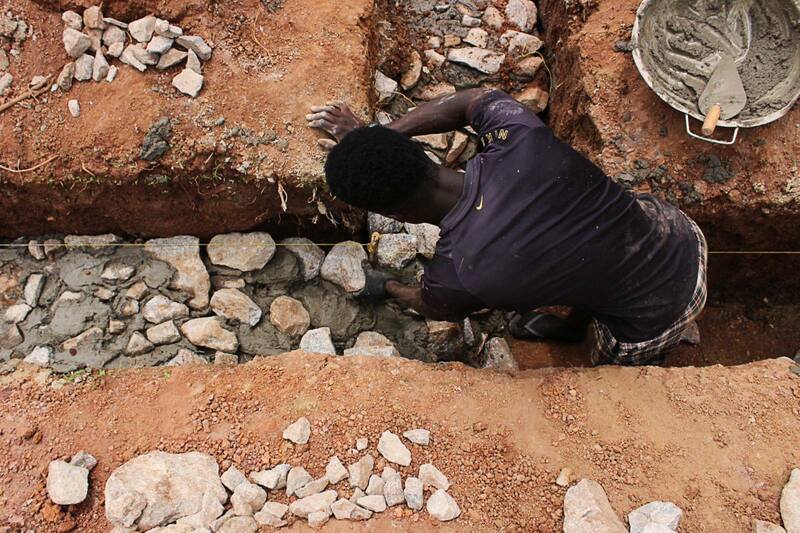 We hired some local people during the process of construction, providing income and training in exchange. The involvement of local community in the construction process bridged the gap between theory and practice, creating unexpected clashes that eventually made the project even better. I’d like to call it positive misunderstandings. For instance, people understood each other differently due to a communication gap/language barrier/past experiences, and those misunderstandings led to the development of new and better ideas. I thoroughly enjoy the creativity that emerged from this and I hope that this collaboration between international volunteers and local workers can lead to better construction practices in the future. I hope that this collaboration between international volunteers and local workers can lead to better construction practices in the future. AiD: Would you like to continue working with underserved communities? AT: Yes! Of course! It is a very enriching experience both professionally and personally. Working with communities helps us understand unfamiliar contexts, and exposes us to different social/economic/environmental challenges in which creativity emerges. In the end, Architecture is about creating the ‘stage’ where life happens – no matter where the project is located or what its budget or scale is. 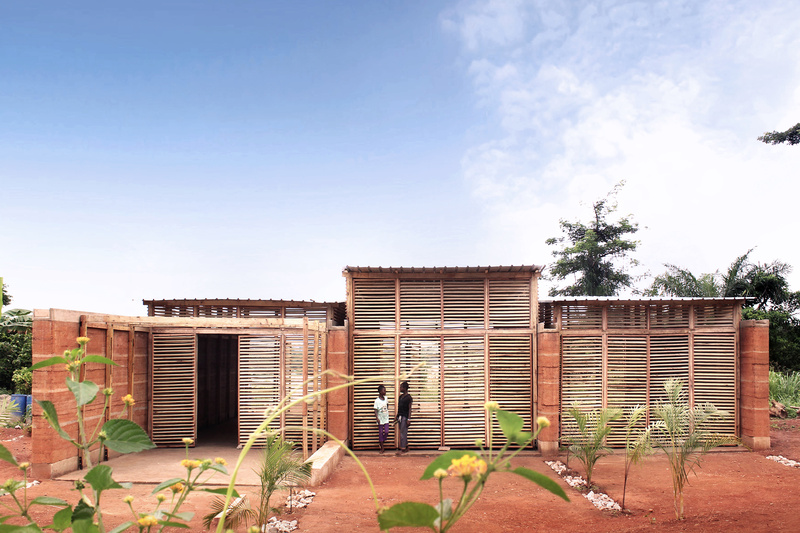 It is our responsibility as architects and designers to find a way to make a positive social impact through design. Collaboration has been the foundation for our profession. Today Internet and technology provide new platforms for passionate people from different backgrounds to share ideas and create new avenues for collaboration. This is one of the greatest opportunities for our generation.